Remember the pamphlet, “Your Guide to the Lisbon Treaty” (discussed here and here), with its cover photo in which at least six, and as many as eight, of the fifteen people illustrating the European Union are nonwhites? Well, under the ever-more-thoroughgoing and entirely predictable reconstruction of reality being effected by liberalism, it’s not just Europe’s present and future that are being portrayed as nonwhite, but its past as well. I came across this textbook when searching for used textbooks for one of my daughters. The portrait used as the cover art for a general beginner’s text of European history is apropos of your recent post on EU propaganda. Now, we know that some corporate marketeer did not randomly choose this image from some conveniently available digital sampler of fine European portrait art. But I admit that my first reaction to it was not, as one might assume, to be angry or irritated, but rather to burst out laughing. The earnest “diversity” proselytizing packed into this choice of image, in this context, is so comically ham-handed, so imbecilic in its dishonesty, that it left me feeling rather cheery about an over-confident sloppiness, a real incompetence at the craft of propaganda, that could be a wee indicator of bad weather ahead for the guild of nation-wreckers. This cheeriness is unwarranted, I know. Rule by imbeciles—and they still rule—does not end comically, and it’s just a single textbook cover. Still, one takes one’s laughs where one can. What next with these white-loathing white leftist revisionists? A picture of Washington crossing the Delaware with a Hispanic, a black, a Hindu and a Vietnamese in the boat? Better yet. Why not make Washington an imam? The Marxists do this to wipe out our history, our culture, our traditions, in fact, all trace of us. We must not let them get away with it. Yes, and it will be named, The Boat People Crossing the Delaware. And there’s even a Volume 2 with a nice strong picture of Lenin on the cover. # …explore(s) connections between the different eras and students’ lives today——such as the transition of the post-World War II Volkswagen Minibus to the modern suburban minivan. Not sure this one will be on my fall reading list. So, Europe before 1490, in which there were no blacks at all except a few servants, is represented by a black man, and Europe since 1490 is represented by Lenin, the man who sought to destroy European civilization, and actually succeeded in destroying Russian civilization. Imagine the imbecility of putting on the cover a heroic Socialist-realist image of Lenin. Of all the European figures to depict, the image of the obviously Euro-Asian Lenin is chosen. The great nihilist, the mass murderer. 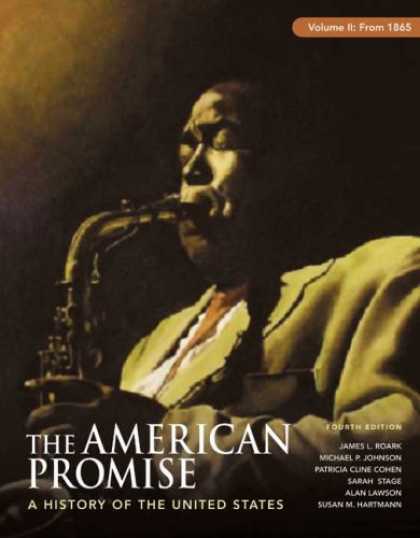 Here is another textbook cover that recently surfaced on the C of CC website. It seems that our masters, after years of trying to make us fall in love with the rich history of Africa, realized that there is no such African history, so they decided to give the Africans our history instead. I agree with RS, these covers just made my day. I loved “The Boat People Crossing the Delaware”. Oh, for some superior photoshopping skills to do an Onion style series on “diversity” textbook art! 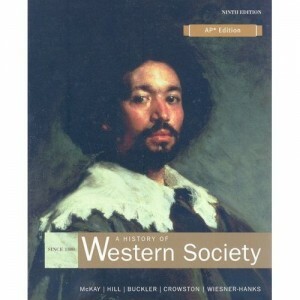 A technical point: the cover of the Houghton Mifflin textbook with the portrait of the black man is for the combined, or complete, one-volume version. Whether that makes it worse or not, I leave to the judgment of your readers. The book also comes in a two-volume version where Lenin, as you’ve noted, graces the cover of volume two. Here is volume one. I’m unfamiliar with the subject on the cover. 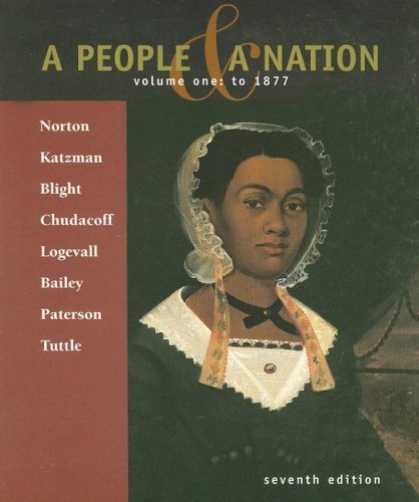 Such covers for U.S. history textbooks are almost ubiquitous. 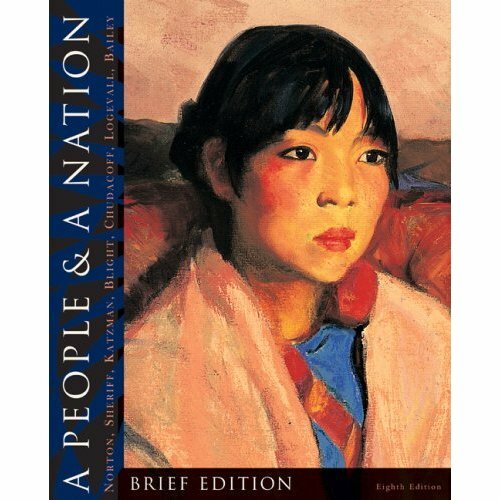 I immediately recalled one that had Pocahontas on one volume and Frederick Douglass (or was it MLK?) on the other, but couldn’t find them on Amazon. Here are a couple more examples. 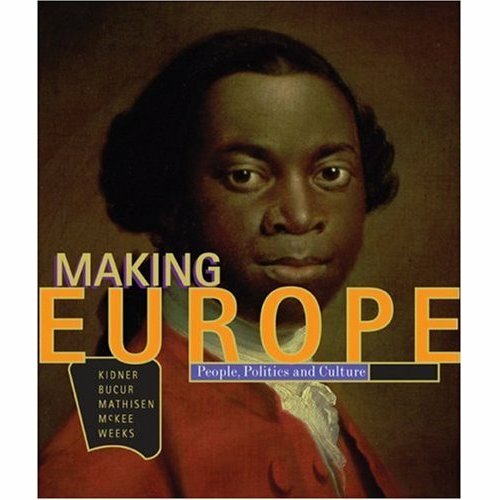 The European history textbook cover reminds me of an episode on “30 Rock” in which Tracy Jordan, a black actor on the show within the show, thinks he’s descended from Thomas Jefferson. He tries to get NBC to produce a biopic of Thomas Jefferson starring, naturally, himself as Thomas Jefferson. This is the trailer he makes to pitch the film. I’m surprised none of your readers have noted the very title of the publication: Making Europe. What does this say about the authors’/editors’ attitude towards society: something that can be made, created, and by extension, recreated at will. The people involved in the production of this textbook clearly do not see Europe as the product of a centuries long organic process, but something that has been constructed, and therefore has not more legitimacy to continue existing than an “alternative” model of society that they no doubt subscribe to. The title of the book should be Unmaking Europe, because regardless of whether Europe emerged organically or through construction, it is clear that the authors and editors wish to unmake Europe from a continent where whites have ruled for millennia into a continent where whites do not rule and perhaps do not even exist. The first step in Unmaking Europe is to unmake European History by obliterating the truth—which is that the role of various victim groups in European History was trivial and uninteresting—and erecting a farrago Leftist nonsense to the effect that the role of these groups in European History was decisively important. The other thing I noticed was that none of the authors specialized in northern or western Europe, e.g. Britain, France, German, Spain, or Scandinavia. They all specialized in southern and eastern Europe: Romania, Byzantium, Poland, Russia, Venetian Crete (!). You would think a book on “Making Europe” would engage some people who specialized in countries that, you know, made Europe. The young black man on the cover is not a famous person. Perhaps he’s a servant. Perhaps he’s some African princeling who was brought to Europe. As a history lecturer at the college level, I receive copies of these texts for review all the time, including the ones you show. I interpret the motives of the publishers essentially in the same way that some of your previous correspondents have in their comments. To be fair, I have heard certain well-known academics give other reasons for inclusion of visual and textual material like this. I’ll spare you the details for now. I must, however, correct your final note about the man pictured in the first photo. He was famous. His name was Olaudah Equiano, a former slave who wrote an autobiography, in English, about his life. His memoirs played a contributing role in shaping public opinion in England against the slave trade. Here is the Wikipedia page about him. You’ll note in the reproduction of the portrait that the identity is in dispute. What is also fascinating about men like him is that he was one of many thousands of blacks, both slave and free, who served aboard different types of ships in the 17th and 18th centuries and helped to fill the complements of many vessels during the great age of sail. An interesting book titled, Black Jacks, was written about them a dozen years ago. Do I think his portrait is sufficiently representative of Western cultures to warrant the cover illustration of a survey text about Western Civilization? No. He should be remembered, nevertheless, for the remarkable life that he lived. By sheer coincidence, I will be mentioning him to my students tonight. I will be discussing the rising abolitionist sentiment, among other intellectual topics, that preoccupied the philosophes during the age of enlightenment.